Home / ART! / What Have You Released Unto This World!? What Have You Released Unto This World!? Call it a vector doodle. Threw this little dude together in a minute. 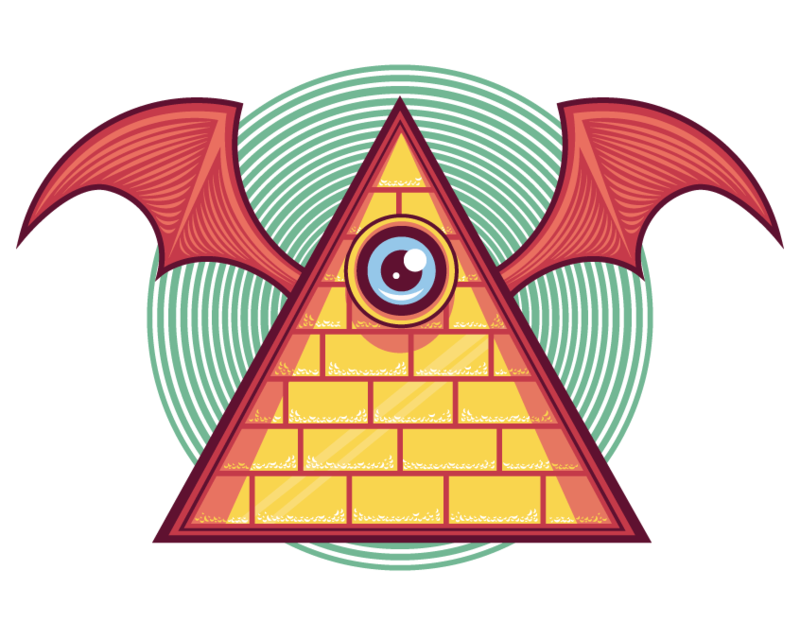 Ah, the classic pyramid with an eyeball gig? See those little speckles on the bricks? I drew out all of those with the pen tool. Took a chunk of time. If I had my EPS texture files I would’ve slammed them in there, but alas, I wasn’t on my laptop. I’m going to keep working on this one probably.